Guneet Bajwa joined Presidio in 2002 having already spent more than 20 years working in senior management of hotel operations and specializing in large food, beverage and convention facilities. As the face of Presidio’s hospitality division, Guneet is a central point of contact for all hotel activities, and oversees direction of 3rd-party hotel operating partners. In this capacity he is responsible for the asset management, development, planning, and implementation of Presidio’s multi-brand portfolio. Prior to joining Presidio, Guneet worked in Alberta, Canada as Regional Director for S. J. Suleman Investments, Ltd. a hospitality company. Among his many accomplishments there, Guneet served as the project leader overseeing the acquisition, redesign, renovation and re-positioning of Six Continent Hotels in Alberta. Under his stewardship the hotels earned the prestigious Six Continent Hotels Newcomer of the Year, along with three Quality Excellence awards. A native of India, Guneet is a graduate of the University of Winnipeg in Canada where he received his Bachelor of Arts in Economics and a Bachelor of Arts in Mathematics. He received his MBA from Simon Fraser University in Vancouver, British Columbia, Canada. He lives in Davis California with his wife, Dr. Kulbir Bajwa, son Saihaj and daughter Sanjana. 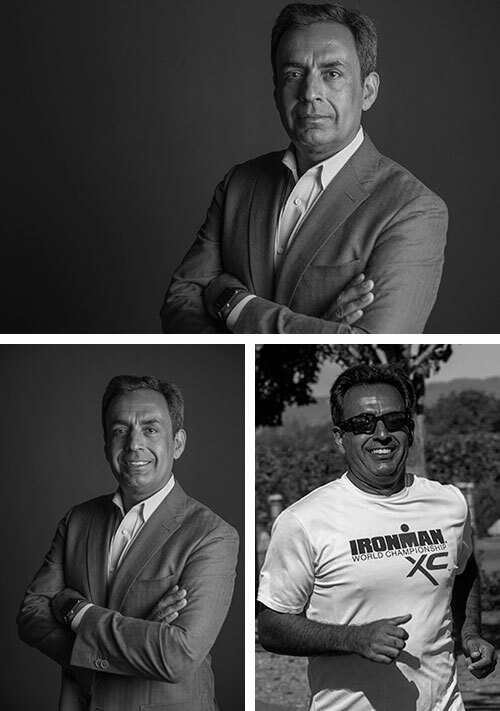 Guneet is an avid golfer and runner and competes in Ironman triathlons. Guneet also serves as a board member of Interstate Hotel and Resorts Owner Advisory Council.